"Fly me to the Moon - and back" is a 1966 NASA documentary that explains the complexity of planning a lunar mission trajectory. Includes mission analysis, mathematical techniques, computers, mission plan, calculations and real-time support for the NASA Mission Control. 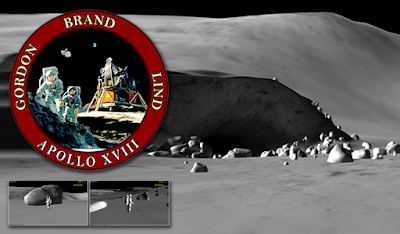 "Launch windows for lunar landing" is a 1967 NASA documentary, and describes, with animation, the planning of a lunar mission with trajectories and physical capabilities that define these trajectories. Emphasizes launch windows and Earth reentry. "Space Navigation" was made in 1968 and is very informative, showing techniques and equipment used in lunar missions. The Apollo spacecraft computer is shown and it summarizes the accuracy achieved in interplanetary trajectory. The methods used in target positioning and precise ways of determining target course are shown. Also explained is how to determine the current position and perform course corrections. "Lunar orbit rendezvous" was also from 1968 and describes in good detail the trajectories and procedures for Apollo missions lunar orbit rendezvous and docking. Normal, as well as abort rendezvous situations are demonstrated. 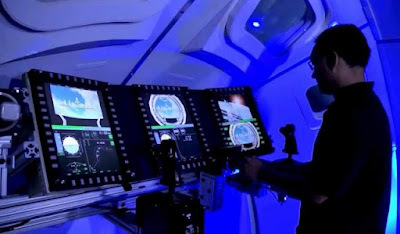 These are very interesting to grasp the concepts behind spaceflight in Orbiter Spaceflight Simulator, Kerbal or any other simulator. Well worth a watch if you want to understand what those numbers are all about. As always, I tried to clean up the footage as best as possible, otherwise YouTube compression would give a very blocky image. When possible, I upscaled to 720p, because it does look better online.